Mr. Tenzer is a Co-Founder of George Smith Partners. Over a career that has spanned almost four decades, he has arranged over ten billion dollars in debt and equity financing. Recognized for his expertise in commercial, industrial, and multi-family financing, in addition to arranging financing for his clients, Mr. Tenzer leads the firm’s Litigation Support practice. 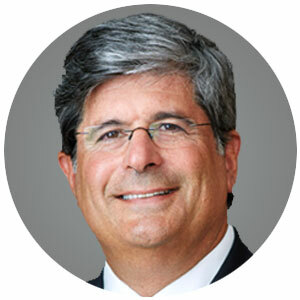 As an expert witness, he has testified in more than 300 cases involving bankruptcy plans of reorganization, real estate financing, project feasibility, lending policy, and loan approval issues. Mr. Tenzer holds a BA in economics (with emphasis in Urban Land Economics), from the University of California, Berkeley. He earned an MBA in both Finance and Entrepreneurship & Venture Management, as well as an MSBA in Real Estate Finance, from the University of Southern California.